[Photo courtesy of Sean Martin] Carissa and Michael Alvarado of Us the Duo performed for fans at the El Rey Theatre Aug. 18 in Los Angeles. 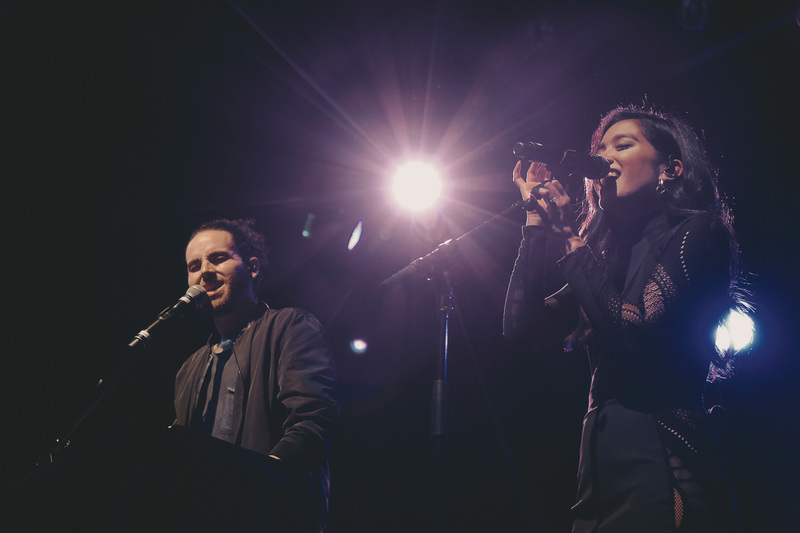 Us the Duo, otherwise known as Michael and Carissa Alvarado, continued their “Just Love Tour” and performed Aug. 18 at the intimate El Rey Theatre in Los Angeles. Built in the 1930s, the El Rey provided the perfect venue for the pair to perform their folk-pop music. From there, they became an overnight sensation with record labels begging to represent them. Since then, they have performed covers and begun making their own music. It was through being represented by a major label when the couple lost their vision for their music. The Alvarados began to question who they were outside of Us the Duo, and the real reason behind their music. Michael Alvarado explained in between songs how this time brought clarity and led to the decision to leave their record label. Not only was it the right decision, but it was also the decision that led to the release of their third album, “Just Love.” While performing songs such as “Goodbye Forever” and “Look up at the Sky,” the energy in the crowd never ceased. Megan Ballard, sophomore graphic design major, attended the duo’s performance in Seattle after winning tickets online. Ballard met the couple at a meet-and-greet and is not just a fan of their music, but also a fan of who they are as individuals. The husband-wife duo ended their tour in San Francisco, but will return to the stage in October with popular acapella group Pentatonix.